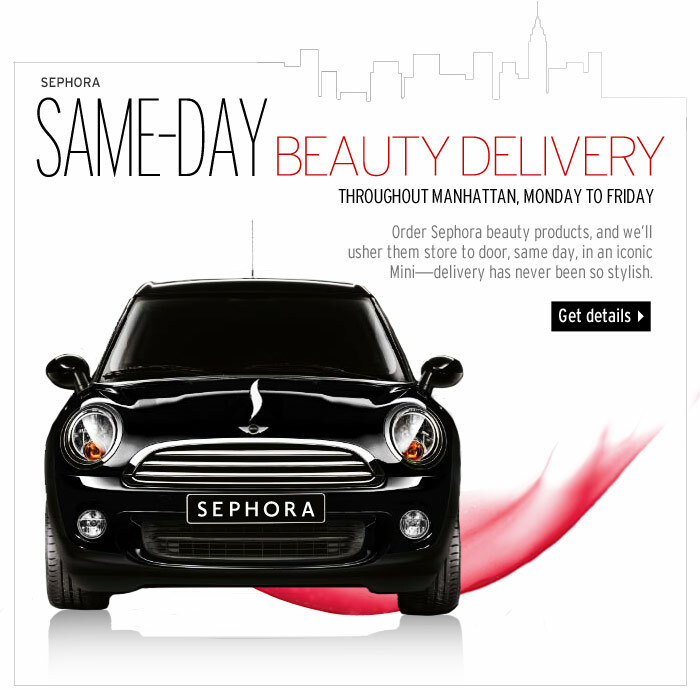 The Beauty of Life: Sephora Introduces Same-Day Beauty Delivery! Sephora Introduces Same-Day Beauty Delivery! Live in NYC? Love shopping at Sephora? Hate actually lugging the stuff home? Well, you're in luck ... because Sephora has just announced Same-Day Beauty Delivery! Order the products online and you're guaranteed to have them delivered that very day via a chic, iconic Mini. Why? Because your time is precious. West coast???? Lovin this idea!